Cabernet Sauvignon is a red-wine grape originating in Bordeaux, but now grown globally. It is widely considered one of the two topmost red-wine grapes (the other being Pinot noir). It is the informing grape of the classic Bordeaux blends (known in the U.K. as "claret"), and is the second-most planted wine grape in the world (surpassed only recently by another Bordeaux red, Merlot). Americans are used to wines that are bottled and marketed by varietal name (which now requires that the wine must be at least 75% of the named type); but in most of Europe, the tradition has been to produce named blends, with laws specifying—usually quite tightly—what percentages of what grapes may be used. The principal Bordeaux grapes are Cabernet Sauvignon, Merlot, and Cabernet Franc, though there are others. Cabernet Sauvignon is an assertive grape, and thus an excellent candidate for blending, not only in the traditional Bordeaux blends, but with many other important reds from round the world. Cabernet Sauvignon wine is hard to describe, chiefly because the grape lends itself to many fairly different styles of vinification. Typically, it has distinct fruit (usually bramble fruits are mentioned, especially black currant) but with overlays variously described as "earthy", "leathery", or "woody", and normally it is relatively heavy on tannins. It is a robust and, as noted, quite "assertive" taste. At times, it can also exhibit bell-pepper or green-olive tastes, sometimes to the extent of those becoming defects (the notorious "vegetal" Cabernets). 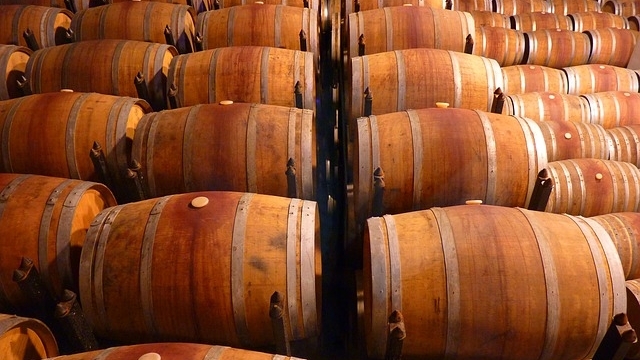 Cabernet Sauvignon is widely held to have a strong affinity for oak, and is usually aged in new oak barrels. While oak aging is common for many wines, some winemakers feel the trend has gone too far, with the oak taste overwhelming the actual wine taste (hence August Sebastiani's now-famous remark "If you like the taste of wood, go bite a tree," sometimes also recounted as "go eat some toothpicks"). The extent of oak use in the winemaking is one of the chief factors distinguishing one cab from another. While Bordeaux red blends remain the most widely respected use of Cabernet Sauvignon, today many other regions are also producing excellent cabs (and blends), from California and Washington to Chile and Australia. It is, in the U.S., most people's "go-to" red, at levels from the famous "Two-Buck Chuck" to three-digit per-bottle prices. Indeed, one criticism of the present world wine market is that a very few immensely popular varieties—notably Cabernet Sauvignon—are causing growers to rip out excellent traditional grape types, some of which are at risk of disappearing altogether, in favor of the highly saleable cab. Besides the inventiveness of the winemaker, another big influence on Cabernet Sauvignon wines is the climate where the grapes were grown (true of all wines, but more so with cab). One reason blends became so popular in the Old World is that in many grape-growing areas there the weather is variable, and in many seasons the grapes must be picked before their ideal time; thus, other, earlier-ripening types need to be blended in to make wine of the desired quality—to make up the "holes" in the cab. In the new World, where climates are typically much warmer, Cabernet Sauvignon regularly achieves full ripeness, though where the season is long enough but relatively cool, the infamous "bell pepper" quality can dominate the wine (Monterey County in California long had that problem, now resolved by better clonal selection and growing techniques). Another element that affects all wines but Cabernet seemingly more than most is soil. The type is especially good, if vinified with care, at expressing terroir (a taste clearly representative of its region of growth). And because Cabernet Sauvignon is naturally high in tannins, it makes wines that famously can improve with bottle aging for decades. Modern styling, however, has tended toward more immediately accessible wines, because few wine drinkers nowadays have the interest in or capability for aging wines for very long periods (or, often, at all—studies show that a very high percentage of wines sold in the U.S. are drunk on the day of purchase). Factoid: Cabernet Sauvignon is a relatively recent (17th century) cross between Cabernet Franc and the white Bordeaux grape Sauvignon Blanc. "When Cabernet Sauvignon is young, the wines typically exhibit strong fruit flavors of black cherries and plum. The aroma of black currants is one of the most distinctive and characteristic element of Cabernet Sauvignon that is present in virtually every style of the wine across the globe. Styles from various regions and producers may also have aromas of eucalyptus, mint and tobacco. As the wines age they can sometimes develop aromas associated with cedar, cigar boxes and pencil shavings. In general New World examples have more pronounced fruity notes while Old World wines can be more austere with heightened earthy notes." "Cabernet's noblest hallmarks: exceptionally deep colour that is bluish purple when young (thanks to the grapes' thick skins); in young wines a particularly high level of tannins, the preservative that dries out the insides of our cheeks (due to the same phenomenon) and therefore an almost unequalled capacity to age in bottle; and a special affinity for oak, the vibrant signature cassis/blackcurrant fruit melding particularly well with the cedarwood and cigarbox aromas of new, top-quality French oak." "Typical taste in varietal wine: full-bodied, but firm and gripping when young. With age, polyphenols polymerize: the grip fades away. The rich currant qualities of the Cabernet Sauvignon wine change to that of pencil box. Bell pepper notes remain. . . . Vanilla notes if present come not from the fruit but from the oak treatment. They increase review ratings but may overwhelm the varietal taste. " "[Yields] dark, intensely flavored, tannic, long-lived wines that often require years of aging to soften and become drinkable. 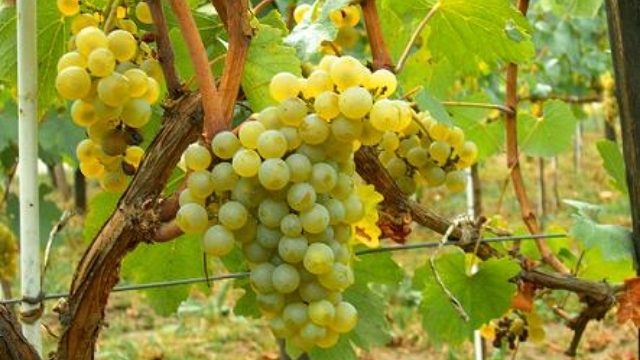 Like chardonnay, the grape can be grown in a multitude of different growing regions and conditions (although it prefers warmer climates) and yet reliably impart characteristic varietal aromas and flavors, which most often are compared to black currant, cherry, bell pepper and green olive." 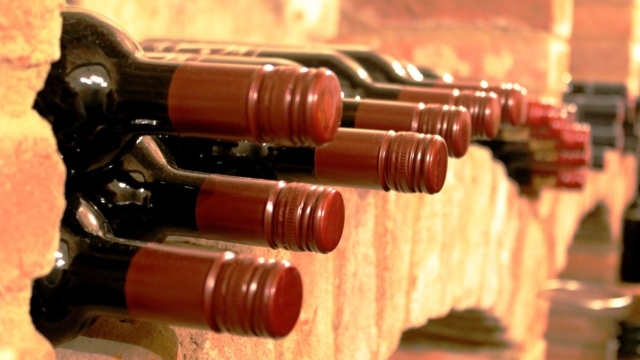 "Cabernet Sauvignon has a bit more backbone and tannic strength than Merlot. Cabernet Sauvignon is admired for its intensity and classic flavors of currant, plum and spice, and it can also have distinguishing herb, olive, tobacco, cedar and anise notes, among others." "Since Cabernet Sauvignon is grown in a wide range of climates and regions throughout the world it has varied flavors. Fundamentally speaking, Cab is a full-bodied red wine with dark fruit flavors and savory tastes from black pepper to bell pepper." "Typically, Cabernet Sauvignon wines smell like black currants with a degree of bell pepper or weediness, varying in intensity with climatic conditions, viticulture practices, and vinification techniques. Climates and vintages that are either too cool or too warm, rich soils, too little sun exposure, premature harvesting, and extended maceration are factors that may lead to more vegetative, less fruity character in the resulting wine. In the mouth, Cabernet can have liveliness and even a degree of richness, yet usually finishes with firm astringency." "[F]lavor profile: blackcurrant, blackberry, black pepper, cedar, green bell pepper (cool climate), and vanilla from oak. Full body with high tannins." It seems risible to try to corral a mere handful of modestly priced wines to represent a wine so hugely available in so many styles from so many places. Nonetheless, we have grabbed the bull by the horns, and this is what resulted. Obviously, it can only be a tiny scratch on the skin of a huge animal, but it's a place to start. Of New World wines especially, we had to omit quite a number of candidates rated about as well as those included, and in honesty we did so more or less arbitrarily; the market in very good cabs from South America is truly remarkable—consider just Tilia, Oberon, Layer Cake, Cousiño-Macul, and Kaiken. Then there are the California and Washington wines, things like Louis Martini's old standby cab, or Columbia Crest's "Grand Estates" and "H3". It's a treasure house of bargains for cab fans willing to do some digging. Of Old World wines, all Bordeaux blends (the only way Bordeaux comes), it was hard to find any plausibly priced ones where Cabernet Sauvignon dominates (most are Merlot-heavy). Between price and Cab content, the options we found were few. ♦ An attractive and ripely fruited Cab, this opens with lush aromas of blackberry, raspberry preserves and black plum that are complemented by spicy notes of bittersweet chocolate, toasted oak, pepper and cigar-box spice. The plush mouthfeel offers medium tannins and dense black-fruit flavors that linger on the spicy finish. 88 points. ♦ Dark ruby in hue, this100% Cabernet Sauvignon boasts black currant fruit and toasted oak with nuances of lead pencil and roasted meat on the nose. It is soft and round on the palate with silky tannins, medium high acidity and a firm finish. ♦ Color: concentrated plum. Scent: cherry, plum, spice. Taste: cherry, strawberry. Texture: elegant, medium acidity, ripe tannins, medium- full-bodied. Notes: Nice tannins, balance, and layers. I don’t know why I was surprised that I enjoyed this wine! I love Michel Gassier wines! I have loved each one that I have tried, so now I need to plan a trip to visit the winery! Overall Rating: Nose Intensity (4/5), Fruit Intensity (22/25), Flavor Characteristics (7/10), Balance (3/5), Length (4/5), +50 = 89 points. ♦ Rock solid, with blackberry, fig, cocoa, violet and mineral notes that are rich, yet pure and vibrant. Dark, fruit-filled finish shows solid length too. 90 points. ♦ Deep garnet color. The nose is pleasant, not overly intense, but surely multi-layered. It opens with black currant, black cherry and plum along with notes cedar and vanilla. Full bodied and smooth;on the palate it shows great fruit intensity and balance, but it lacks complexity. A black cherry attack leads to some green tea notes with cocoa powder and vanilla on the finish. The tannins are vigorous and dusty. A simple, well made and modern french cab. ♦ Oh. My. Goodness. This is BY FAR my favorite cabernet. Run, don't walk, run and buy some. On second thought, don't. That will leave more for me. All of this hubub over a mere $15 bottle of wine. 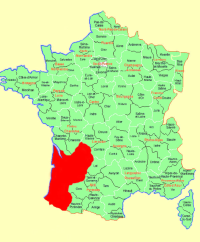 Vin de pays, in fact. It's French freakin' table wine, for Pete's sake! Made by Michel Gassier the grapes were harvested in October and aged 12 months in French oak barrels after fermentation. The wine was bottled and made its way to me. The cabernet is dark burgundy in color. The tannins are subtle and soft. Over a period of four days, the only thing that was wrong with this wine is that the bottle emptied way too fast as the wine aged gracefully over the four days. This is truly the nectar of the gods. ♦ Fresh, juicy and crisp with bright plum, blackberry and spice; lively, tangy and balanced; charming and long. 89 points. ♦ This solid 2012 Cabernet benefited from a cool spring followed by an August heat wave that unexpectedly hastened the ripening process. Fortunately, storms soon moderated temps with cooler nights delivering straightforward clean black currant along with subtle herbal tones on the nose. When sipping you get a slight sweetness detectable through steely yet velvety stone fruit ultimately finishing long and elegant. ♦ The wine served was Mas La Chevaliere Cabernet Sauvignon de la Chevaliere 2011 Pays d’Oc IGP. This wine was very rich and exciting with notes of exotic black fruit and nuts. Hard to find this level of quality in a Cabernet Sauvignon for only $13.99. ♦ Recommended only for cab lovers who like green stemmy flavors to go along with the bright red cherry fruit and a hint of tannin. ♣ This brand was created by Robert Joseph and Hugh Ryman; the wines are produced by the Jean d'Alibert Winery. There seem literally no comments yet on the web, but we include it because it has a decent critical review and fits the price/availability criteria (which few Old-World Cabs do). ♦ An excellent vintage  for this perennial good-value red. It’s relatively fruit-driven and has very good structure, promising aging potential. Raspberry and herb aromas; a suggestion of cherry eau-de-vie. Good weight and ample fruit, finishing with abundant firm tannins. ♦ This is a sleek, medium-bodied Cabernet from inland Victoria. Oak use is restrained, leaving cassis, cassis and more cassis to stand largely on its own. The result is a bit simple, but well built, finishing with firm, dusty tannins. 87 points. ♦ Rustic and even a little plasticky, the extraction here is a bit raw and it shows – I’d love some more elegance. Still, the fruit underneath is quality and the drying finish is even, suggesting (as usual) this will be a very solid drink in a decade. This Tahbilk Cabernet Sauviginon 2012 is very much a wine for the future, not quite now. ♦ Garnet black color. Lively aromas and flavors of cherry lozenge and chocolate mint with a silky, crisp, fruity medium body and a tingling, breezy finish displaying elements of melon, delicate spice, and pickled beet with well-integrated tannins. A nice savory cabernet. 88 points, Silver Medal, Highly Recommended. ♦ Old-school cabernet with aromas of blackberry bushes beside a dusty road. A comforting earthiness – almost of sweated pine mushrooms mixed with dark blue fruits – adds up a solid pile of cabernet. Full of flavour, yet never heavy nor masked by overbearing, grippy tannins. Rating: 4 out of 5 stars 'Country comfort'; Value: Superb. ♦ Aromas of olive, herbs, spice, raw oak and berry fruits give this Cabernet a classic Chilean bouquet. Dense, jammy and concentrated on the palate, this tastes of blackberry, cassis, green herbs, pepper and chocolate. This runs smooth, herbal and chocolaty on the finish. 89 points. ♦ It’s not surprising to see this 100% cabernet labelled by the Maipo Valley appellation. It’s not that every cabernet from the region is superlative, but it’s the source of most of Chile’s finest cabernets, and this is one of them. Although it’s young (I tasted this [2014 vintage] in September 2016, when the wines was two-and-a-half years old), it’s drinking beautifully and has the wherewithal to hold well for another five or six years – although I have to say I like the way it us now, and I would drink it in 2017-18. There’s great concentration of flavour, with an intensity that’s positive rather than full-on fruit, the complexity is impressive, and the acidity is calibrated perfectly. The tannins are ripe and drying rather than grippy. It’s a deliciously drinkable wine at a very good price, well worth buying in multiples. ♦ Earthy blackberry aromas are spicy and moderately complex. Structured and sound on the palate, with a strong tannic framework, this tastes of well-defined cherry and cassis. Spice and chocolaty notes on the finish are barrel driven. 90 points. 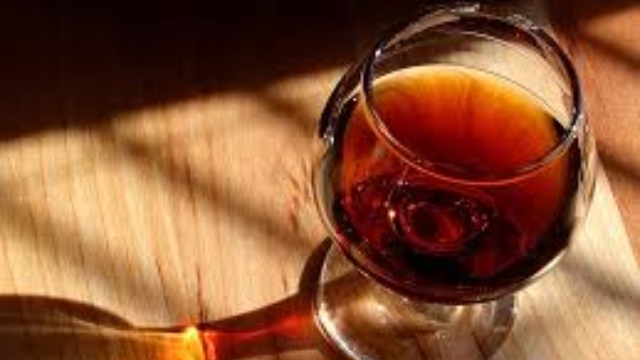 ♦ The wine’s aroma was quite complex! There was an initial burst of red fruits, like raspberry and cherry candy. Following that were smokier hints of spicy black pepper and tobacco…I found this wine’s flavor profile a little tricky to characterize…my best description was herbaceous and vegetable flavor characteristics with a little bit of under-ripeness… The wine’s mouthfeel was cottony with fine grained and long lingering tannins…very long finishing and the majority of the finish is dominated by the tannins…Overall I enjoyed this wine, however, I was left a bit confused by the flavor and there was an “out of balance” feeling as I tasted this wine. It was as if the different aspects of this wine were competing with each other for attention versus balancing each other out. Making a choice here would be almost ridiculous. In the plausible price range, the choices will all be New World cabs; but—and note this—the average critics' points for wines priced in the three-digit range are little over some of the wines in the lists above (there are $500+/bottle Cabs rated only 5 points above, say, the $19 Kaiken Ultra), so we hesitate to point at this or that pricey Cab as a solid "splurge" choice.